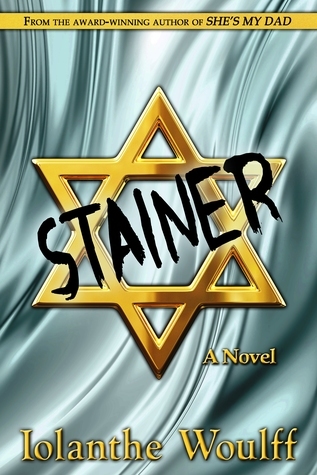 STAINER follows Ben Steiner, a Jewish Columbia undergrad who is a decent person but wishes to be “in” with the “in crowd.” What was the initial idea behind this story and how did that transform as you were writing the novel? Since I wrote the book forty years ago, I must confess that I cannot precisely recollect what the initial idea was. I just sat down and started scribbling (longhand, on legal yellow sheets) and eventually the novel emerged. However, as I explain in my Author’s Preface, the manuscript was an overwritten mess. I was a complete amateur, and made every mistake in the book… (okay, that was a truly cringe-worthy pun.) But now that I think of it, I did have a vague notion that I wanted to somehow skewer an acquaintance of mine, and decided that the cleverest way to accomplish that would be to turn them into a rotten character in a book. Which I did… and no, I won’t tell you which character, but suffice it to say that nowadays my intended skeweree is rich, fulfilled, aging much better than I am, and utterly unaware of my –or my novel’s– existence. Which, all things considered, is exactly as it should be. Of course, at a distance of four decades, I am now able to perceive things in the novel that weren’t apparent to me at the time I wrote it; by which I mean that there’s more than a trace of autobiographical heartbreak in the story. And I think we’ll leave it at that. Ben goes through some strikingly personal conflicts throughout the book and his character is meticulously developed. How did you capture the thoughts and emotions of a 70’s Jewish teen? Easy… I was a 70’s Jewish teen. 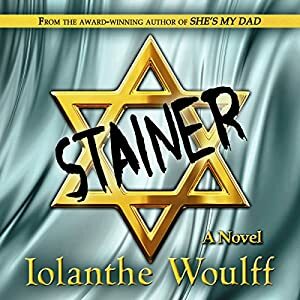 Well, not technically… even though I was already in my mid-twenties when I wrote STAINER, my mindset remained that of an irresponsible teenage scamp, and I simply wrote prose in the same the way I spoke/ thought/lived; in other words, from the viewpoint of extremely arrested adolescence (ahem.) Luckily for me, it turned out that I had a knack for accurately capturing the mood and lingo of the times in my writing… who knew? Ben meets P.T. Deighland, a wiseass from Princeton, who is clearly up to no good. What were the driving ideals behind the characters relationship throughout the story? “Driving ideals”? Hmm… I have no clue, other than to suspect that the relationship between ‘bad-boy’ P.T. and ‘good-boy’ Ben somewhat reflected the two sides of my own slightly schizophrenic persona; which, in those days, remained more-or-less in a constant state of conflict. To all outward appearances I was definitely a good boy, but like many such young fellows, secretly wished that I had the nerve and coolness to behave like one of the bad boys. Because, after all, the bad boys always got the girls… didn’t they? But, like Ben, my efforts to attain bad-boy status were ultimately doomed to failure, and came at a heavy cost. 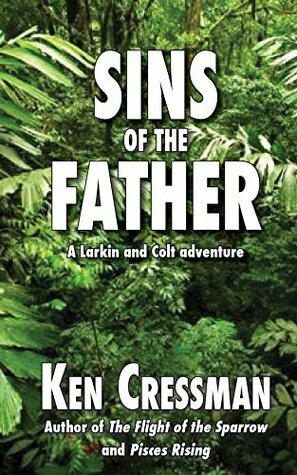 I have a new novel under way, and it’s as different from STAINER as STAINER is from SHE’S MY DAD. I can only write stand-alone novels; the mere thought of doing sequels or a series is a stupefying bore. For me, once a story is wrapped up, that’s the end of it, and then I’m off to build a new world, with new characters, new problems, new everything. It’s the only way I can stay interested enough to keep going. As to when the new book will be available, who knows? All I can say is, stay tuned… I do believe it’s a pretty good yarn. New York City, 1975: Decent-hearted but spoiled Jewish college kid Ben Steiner is naively possessed by an overwhelming desire to be cool. At a springtime party on the night of his twenty-first birthday, he meets two people: Rebecca Glaser, the longed-for sweet girl of his dreams, and P.T. Deighland, a beguilingly knavish wiseacre from Princeton. Seduced by Deighland’s bold irreverence while simultaneously succumbing to his own temptations, Ben makes a cascading series of unfortunate choices which not only threaten his budding relationship with Rebecca, but expose him to ruin at the hands of a ravishing but ruthless fashion model named Anthea Montague.